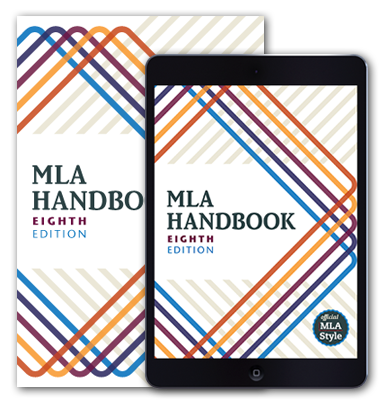 To cite source code begin with the MLA format template . . .
How do you cite speech bubbles from a graphic narrative? Cite each speech bubble individually. Do not use slashes to indicate quotations from separate speech bubbles. Use ellipses only to omit text from a single speech bubble. In Fun Home the narrator recalls episodes in her parents’ troubled marriage. In one scene Alison and her brothers are shown sitting at the top of a staircase, listening to their parents argue below. They hear their mother say, “I’m warning you. You can’t keep doing this.” Their father retorts, “I can do whatever I want” (68), a declaration that is punctuated by a loud crash. “What was that?” asks Alison’s younger brother. When a source consists of only one page, such as a newspaper article, should I give the page number in my in-text citation? No. If a work is only one page, as in the example below, you should not include a page number in your in-text citation. A lengthier article in New York City’s The World went even further, echoing Edwards’s suggestion of criminality in declaring Wilde’s novel “the sensation of the day in certain circles of society”—those circles “which call for constant police supervision” (Review). Review of Oscar Wilde’s The Picture of Dorian Gray. The World, 17 July 1890, p. 5. The example is from Thomas Vranken’s introduction to “Oscar Wilde’s Book,” by E. J. How do I cite two versions of a poem from the same anthology? As explained in a previous post, to distinguish between works with the same author and title, you need to include additional information in your parenthetical citation—usually the first unique piece of information in your works-cited-list entry. This principle applies if you are citing two versions of a poem from the same anthology.